The Association of Fundraising Professionals Greater Houston Chapter has announced its first annualDay of Service to be held on September 28, 2012. AFP-GHC members, as well as Young Nonprofit Professionals Network members, will volunteer at three Houston-area nonprofits, and the theme for the day is “Nonprofits Helping Nonprofits.” The three nonprofits were selected by Day of Service Committee members who were looking for one-day projects outside of day-to-day operations, where volunteer service would have a significant impact. The charities selected for this year’s event are Target Hunger, Friends of the Houston Public Library, and the Down Syndrome Association of Houston. As one of Houston’s largest food distribution organizations, Target Hunger works to alleviate hunger and its root causes in the heart of Houston’s inner city. Target Hunger not only distributes food to more than 12,000 food-insecure individuals each month, but it also manages food pantries, senior day sites, home delivery routes, and 16 community gardens that produce an average 1,000 servings of fresh vegetables per month during the peak growing season. 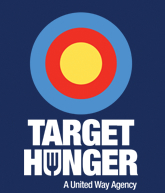 In addition, Target Hunger provides a wide range of family programs aimed at promoting self-sufficiency: from nutrition classes, to education, literacy and youth development. Projects on the Day of Service include indoor repair jobs and some light work in the community garden, weather permitting. Friends of the Houston Public Library is a nonprofit membership organization that was founded in 1953 to foster wider recognition, use, and support of the Houston Public Library system. Memberships help support the ongoing programming and material needs of neighborhood libraries, thereby serving all of Houston’s diverse population. Additional funds are raised through an Annual Book Sale, a Children’s Book Sale, and a Virtual Book Store. The organization also depends on many volunteers who sort through books that have been retired from area libraries, categorize them, and cull out those that are no longer serviceable. A variety of projects are available on the Day of Service, including wall and/or mural painting, small repairs, and computer work. Historians and researchers are encouraged to volunteer as well. The mission of the Down Syndrome Association of Houston is to create awareness and acceptance of children and adults with Down syndrome through advocacy, socialization, education, and medical outreach. The organization’s website plays a key role in helping to achieve this mission. By providing a means whereby people with Down syndrome can become self-advocates, the website enables them to engage in a variety of activities just like anyone else, and demonstrate that we are all “More Alike Than Different.” DSAH offers programs for all age groups, most of which were developed on-site, including prenatal counseling and an ‘Education for Life’ program for adult self-advocates who have graduated from high school. The Day of Service projects primarily involve indoor painting and may require using a ladder. Volunteers may choose between half-day (9 am to 1 pm, or 12N to 4 pm) and full-day (9 am to 4 pm) time slots. Lunch will be provided for all volunteers, and is being graciously donated by Chick-fil-A. Photography for the day is also being donated by the amazing Justin Calhoun. The day will end with a Volunteer Party where participants can view photos of the day’s activities and celebrate their accomplishments over beer and snacks. For more information regarding AFP-GHC’s Day of Service, or to volunteer at one – or more – of the nonprofits above, click HERE and go to the ‘Volunteer’ tab on the Day of Service website. Click on the following to learn more about the Association of Fundraising Professionals or the Young Nonprofit Professionals Network of Houston.